It's not just WWII stuff that's going on over at Warlord Games. They're super-excited about the release of Battle for Xilos, the first supplement for Beyond the Gates of Antares. They're celebrating its impending release with a special deal for people who may see the first supplement as a great place to jump into the game. They've also got the models for some of the dangerous life forms that inhabit the planet. 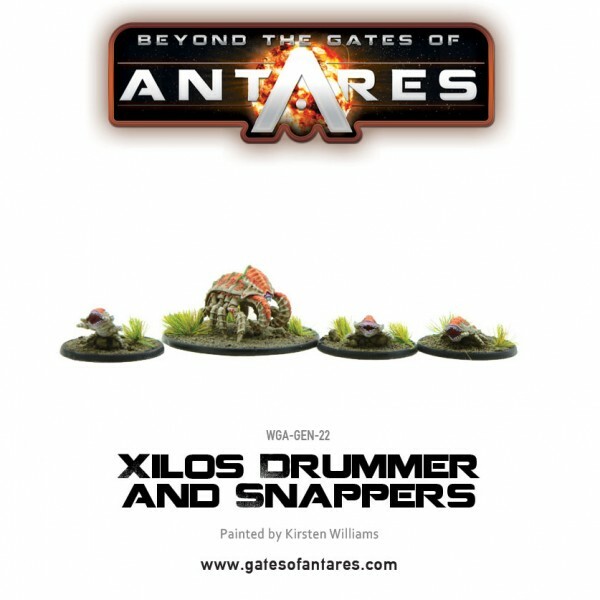 Starting with the new aliens, there's both the Xilos Gulper, as well as the Drummer & Snappers sets. I wouldn't say I'm "afraid" of bugs, though I'm not generally a fan. But if I were to see something even the size of the smallest one of those running across the floor of my apartment, I'm sure you'd be able to hear me scream in Seattle. 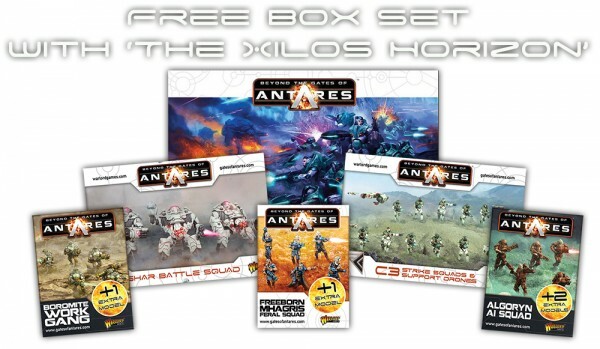 As for the special deal, If you order the Beyond the Gates of Antares starter set, you'll get an extra box set of your choice for free. Not a bad deal, really.